Anything and everything that sci-fi fans need to know and more. The Official Warner Bros Harry Potter Website. This site also has loads of games, quizzes and a store for official Harry Potter merchandise. If you're a fan you'll have been here before, if you want to know anything about Firefly/Serenity this is the place to be. A fan site forged by fans of J R R Tolkien. Beam across for everything Star Trek. Go through the Stargate for loads of information. Media science fiction fan convention in Baltimore, MD. suburb-rated by TV guide as the best Star Trek convention in the US, though they also have guests from Buffy, Stargate, X- Files and more. No.1 Collectibles and Sci-fi show in Orlando Florida. 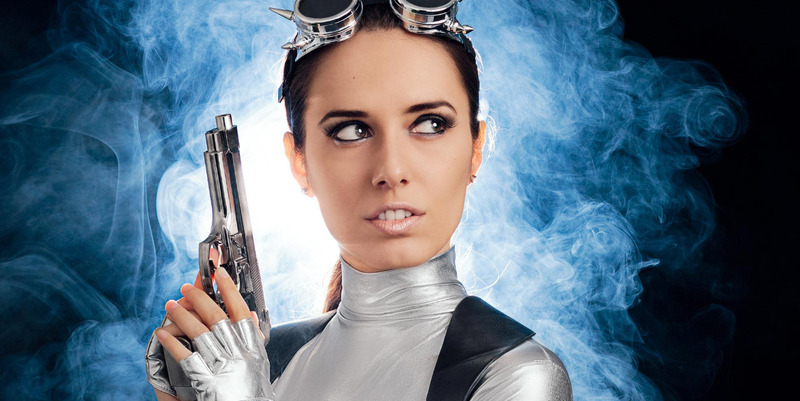 Each year the Megacon Indie Film Expo showcases the best in independent films in the genres of animation, anime, comedy, comic-related, fan films, fantasy, horror, and sci-fi. It is hosted by 3 Boys Productions, the founders of the Melbourne Independent Filmmakers Festival and publishers of the horror-adventure comic, Students of the Unusual. The UK's no.1 sci-fi convention and its free!!! 300 dealers stalls and more than 30 star signings over 4 days. TALKS, DISPLAYS, PHOTO SESSIONS, COMPETITIONS, AND MORE!